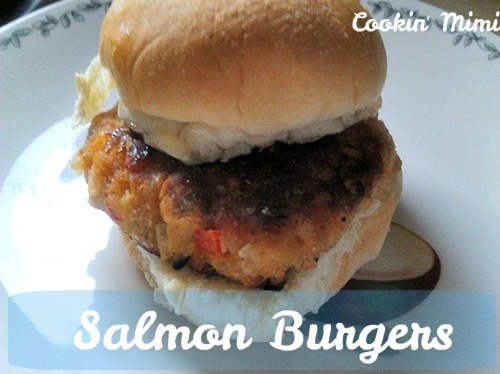 These easy salmon burgers are frugal and filling. Serve with chips or fries and fruit. Don’t let the long ingredient list scare you off. Salmon burgers come together quickly and cook in a skillet making them perfect for hot summer nights when you don’t want to heat up the house. Serve with chips, potato salad, or slaw for a low key and tasty supper. Mix together the ingredients from salmon to the egg. Form into four patties. Brown in oil 4 minutes per side or until browned and heated thoroughly in the middle. Serve on buns with desired toppings. Pin this recipe on Pinterest if you like it.